The delta-wing design of the subsonic bomber Avro Vulcan was years ahead of its time in terms of design when the Ministry accepted the proposal in 1947. Based on top secret Luftwaffe material after the end of the Second World War, the first prototype flew on 18 May 1951 and it went on to serve in the RAF from 1952 to 1984. During this time it carried Britain s first nuclear weapon, the gravity bomb, and played an important part in the deterrence policy of the Cold War. The Avro Vulcan: A History provides a complete history of the design and development of Britain s iconic and much loved bomber, covering the period from 1947 to 1984, when it was finally withdrawn due to mounting costs. The history takes in trials and development, taking flight, and the Vulcan B.2 and Black Buck attacks in the Falklands War, and provides details of all 136 airframes including completion dates, operational services in unit order, worldwide goodwill and flag-waving missions, making it a valuable record of this graceful and famous bomber aircraft. Designed by a team led by Roy Chadwick, the man responsible for the legendary Lancaster, the Vulcan was created to carry Britain's nuclear deterrent in the 1950s and 1960s. Avro's delta-winged colossus became the backbone of the V-Force until the very end of the 1960s when the deterrent role passed to the Navy's Polaris submarine fleet. 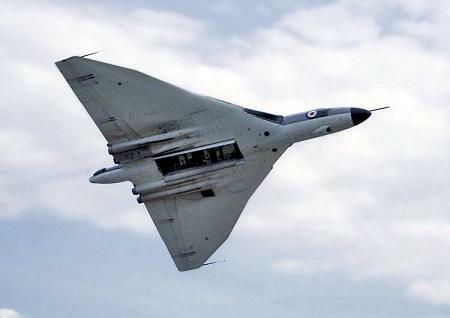 The Vulcan remained in RAF service as a tactical low-level bomber armed with conventional and nuclear weapons, and was only retired following the introduction of the Panavia Tornado. The narrative is complimented with many photographs, scale drawings and color profiles making this book the definitive history of this superb aircraft and an essential addition to the libraries of aviation historians and modellers. Additional photographs have been added to this new edition.